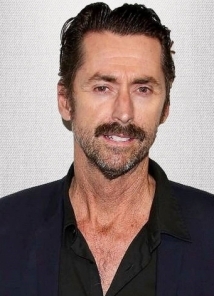 This week on The Kevin Nealon Show, Kevin is joined by guest Kirk Fox. Kirk Fox is an actor, writer, producer and award-winning stand-up comedian. Fox was the host of the syndicated daytime conflict talk show The Test and has a recurring role on NBC's hit comedy Parks and Recreation as Sewage Joe. Other recent acting credits include playing Mr. March on Nickelodeon's How to Rock, the TBS comedy Who Gets the Last Laugh?, and a guest appearance on NBC's Community. Fox's extensive television background includes multiple appearances on The Tonight Show, Conan, as well as his own Comedy Central Presents. His experience is not only limited to television, though. Fox has also built an impressive list of silver screen credits including Forgetting Sarah Marshall, The Postman, Post Grad, The Patriot and Wyatt Earp. Fox also co-wrote and co-starred in Tennis Anyone? with Donal Logue. A Southern Californian all his life, Fox originally hails from San Diego. A one-time professional tennis player and avid golfer, Fox currently lives in Los Angeles. Kirk Fox stops on by to chat with Kevin about shady Rolex dealers, electric cars, and dating requirements. Olé!